A child's overall health includes their social, emotional and behavioural well being. This allows the child to form close relationships, regulate and express emotion, interact, and learn from the world around them. 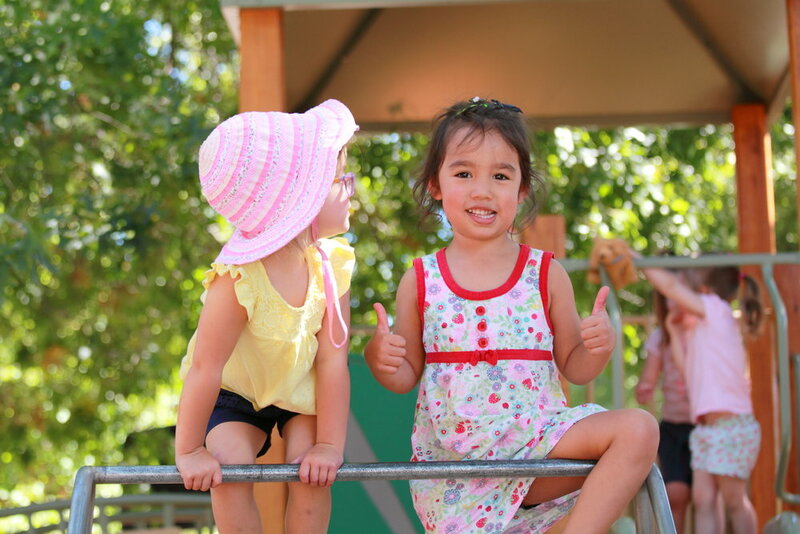 Donvale Preschool is pleased to be working in conjunction with KidsMatter. Thank you to Manningham Community Health Services for their collaboration on this resource. Zero to Three provides comprehensive information on sleep, nutrition, behaviour, development and mental health issues in early childhood. Use the search bar to type in your topic of interest. Response Ability provides factsheets, guides and useful links about childhood anxiety, bullying, mental health, behavioural disorders, resilience and wellbeing plus many more. Click on the ‘Primary and Early Childhood’ tab to get started. KidsMatter is a mental health promotion, prevention and early intervention initiative especially developed for primary schools and early childhood education and care (ECEC) services. KidsMatter offers a wide range of information sheets for families that have been developed experts in child development. Raising Children’s Network provides a complete Australian resource for parenting from newborns to teenagers. It has information on sleep, behaviour, play and learning, connecting and communicating, nutrition and fitness as well as many interactive podcasts and apps available to download. Parenting Counts provides parents with advice and information on raising socially and emotionally healthy children. It provides parents with a developmental timeline, videos and articles regarding your topic of interest. A great place to get started for information and help. Click on the ‘Services and Support’ tab and search for the service you are looking for. The Department of Human Services plans, funds and delivers a wide range community programs and assistance. On the web page you will find information and help for children with a disability, financial support, crisis and emergency care as well as contact phone numbers on where to seek help. Click the ‘For Individuals’ tab to get started. Beyondblue is working to reduce the impact of depression and anxiety in the community by raising awareness and understanding, empowering people to seek help, and supporting, recovery, management and resilience. Beyondblue has information sheets, facts and the chance to connect with others. Eastern Health CYMHS is a specialist mental health service for children and young people up to the age of 25 years who are displaying symptoms of psychiatric disorder or severe emotional and behavioural disturbance. Click on ‘Services’ then ‘Child and Youth Mental Health Service’ tab. On this page there will be information about how to get a referral, what to expect and other useful links for mental health services. Access Health & Community (formerly known as Manningham Community Health Service) is a high quality health and community service for all. We offer a range of health, education and social support services. Our purpose is to build healthier lives together with our communities and to deliver excellent health and social services for everyone. Look here for information on services for individuals and families of all ages, latest news, appointments, and volunteering opportunities. Doncare provides support to families, the aged, youth and disadvantaged in the city of Manningham and surrounding suburbs. It has resources for counselling, information and emergency relief as well as social support and family services. Anglicare’s services include foster care, financial counselling, parent education and group work. They also offer emergency food and crisis accommodation. Migrant Information Centre (Eastern Melbourne) (MIC) provides a range of services for migrants and refugees living in the eastern suburbs of Melbourne. Domestic Violence Resource Centre Victoria provides supportive information and referral services to assist people who experience family violence. Here you will find helpful pamphlets and publications and who to call for help. Great website with lots of facts about gambling, information about taking control of gambling, and where to get help. The Kids Help Line has introduced a confidential telephone counselling service providing professional counselling and support for parents and caregivers. Click on ‘Parents & Carers’ on the home page to learn about their services. Do you need help with any of the following issues? Credit card debt, personal loan debt, utility bill issues, fines, housing stress such as mortgage debts, problem gambling. Financial counsellors are non-judgmental, trained professionals that can help. They provide information, support and advocacy to people in financial difficulty. Working in community organisations, their services are free, independent and confidential. Find your local service by checking the website or calling 1800 007 007. The Department of Health and Ageing has provided a detailed factsheet about how to get your child involved in the ‘Helping Children with Autism’ program. Type ‘autism’ into the search tool and click on ‘The Helping Children with Autism Program’ then click on ‘Printable Version Fact Sheet’ to view the fact sheet. For inquiries about eligibility, claiming, fees and rebates, call the Department of Human Services (Medicare) - patient inquiries 132 011. The website also has information on referring your child to seek any form of psychological help. The aim of amaze is to improve the quality of life for people affected by Autism Spectrum Disorders, families and carers. Click on the ‘Discover’ tab and check out the Directory of Services, an in-house database of over 4000 autism-aware and autism-specific services, professionals and products, primarily within Victoria. The Better Start for Children with a Disability initiative provides funding for early intervention services for children with a disability. Here you can find a registration tab, steps to a better start, as well as links to support services in different areas.